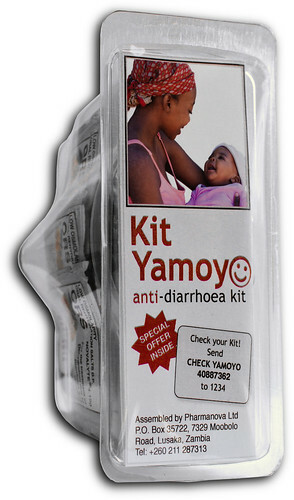 I’ve just received the latest stock figures from Pharmanova, the manufacturer of Kit Yamoyo anti-diarrhoea kit in Zambia. 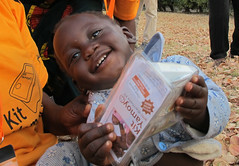 Pharmanova report that they have shipped 51,000 Kit Yamoyo – anti-diarrhoea kits since we started the trial in Sep-12. 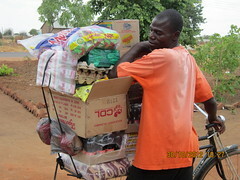 As reported earlier, 26,230 kits were sold during the trial period (21,823 for vouchers and the remainder for cash). Now, just six months since we handed over to Pharmanova to sell directly into the market, they have easily equalled and surpassed the total number of kits sold for vouchers. It looks like Kit Yamoyo now has real potential in the open market. Wonderful !!!!! keep On going. Brilliant news. Well done to the whole team.